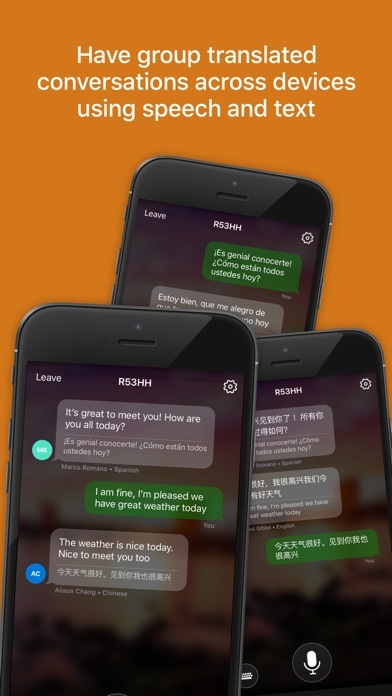 Microsoft Translator is a free, personal translation app for 60+ languages, to translate text, voice, conversations, camera photos and screenshots. 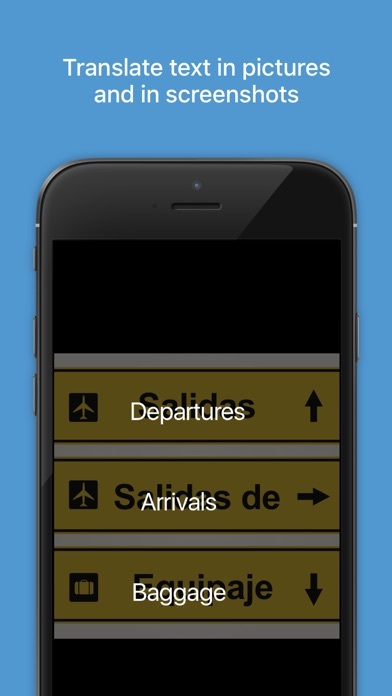 You can even download languages for offline translation for free to use when you travel! •	Text translation into over 60 languages*, for online and offline use •	Camera translation to translate text within photos and screenshots •	Voice translation to translate speech, and a split-screen mode for two participants having a bilingual conversation •	Multi-person conversation translation - connect your devices and have in-person conversations with up to 100 people across multiple languages •	Phrasebooks for verified translations and pronunciation guides to help you learn important phrases in foreign languages when you travel •	Look up alternate translations and meanings of a word to find the best translation to express yourself •	Download languages for offline use for when you travel without an internet connection •	Hear your translated phrase out loud to help you learn how to say the translation •	View transliterations (pronunciation guides) to help you pronounce the translation (includes Pinyin support for Chinese) •	Share your translations with other apps •	Pin and save your most frequent translations for later •	Translate websites on Safari using the Microsoft Translator browser extension •	Speak to your Apple watch to get an instant translation •	Automatically sync translations between your phone and Apple watch Translator supports the following languages:  Afrikaans, Arabic, Bangla, Bosnian (Latin), Bulgarian, Cantonese (Traditional), Catalan, Chinese (Simplified), Chinese (Traditional), Croatian, Czech, Danish, Dutch, English, Estonian, Fijian, Filipino, Finnish, French, German, Greek, Haitian Creole, Hebrew, Hindi, Hmong Daw, Hungarian, Icelandic, Indonesian, Italian, Japanese, Kiswahili, Korean, Latvian, Lithuanian, Malagasy, Malay, Maltese, Norwegian, Persian, Polish, Portuguese, Quer'etaro Otomi, Romanian, Russian, Serbian (Cyrillic), Serbian (Latin), Slovak, Slovenian, Spanish, Swedish, Tahitian, Tamil, Telugu, Thai, Tongan, Turkish, Ukrainian, Urdu, Vietnamese, Welsh, and Yucatec Maya. 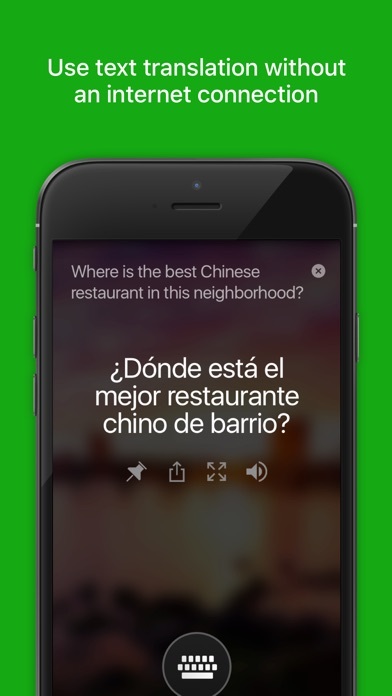 Microsoft Translator is powered by cutting-edge technology used by Office, Bing, Skype, Internet Explorer as well as by partners such as Twitter, Yelp, eBay, WeChat and more. *Some features are not available in all languages. // Request for User Permissions // [Mandatory access] 1. View Network access To detect whether the device is on Wi-Fi, mobile data, or not connected to a network. 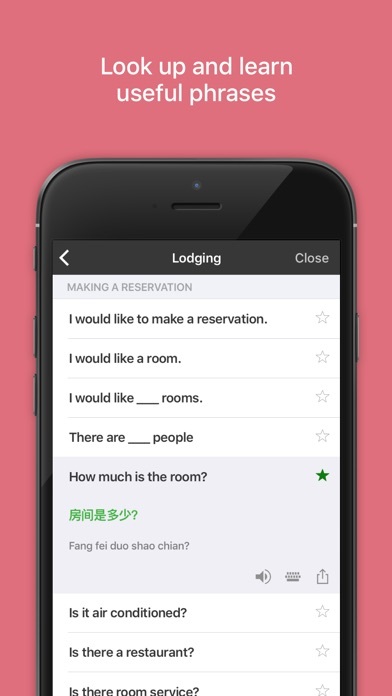 This helps the app know whether it should translate while online, or use an offline language pack. 2. Network access For access to Wi-Fi or mobile data to perform text or speech translations, and download offline language packs. [Optional access] 1. Camera To take pictures for image translations, and to scan QR codes when joining a conversation. 2. 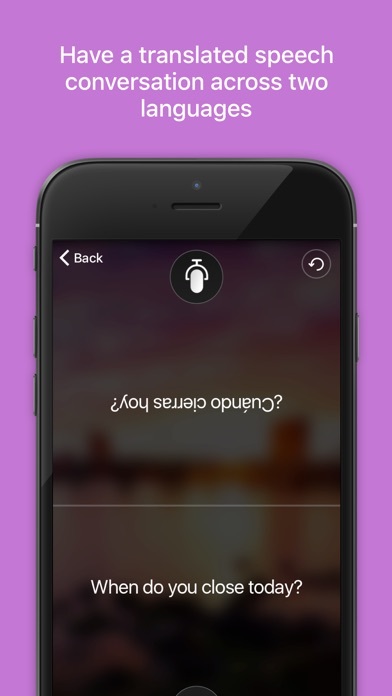 Microphone To translate speech. 3. Photos/Media/Files To open photos from the device for image translation. 4. Storage To open photos from the device for image translation, and to save downloaded offline language packs.